Mani Ratnam gives us a heavenly curve on The Godfather with Chekka Chivantha Vaanam. An endeavor is made on the life of a prevailing wear, and it gets underway a progression fight between his three children. In the start of Chekka Chivantha Vaanam, an endeavor is made on the life of a maturing wear, Senapathy (Prakash Raj). The wear has three children - the oldest one, Varadan (Arvind Swami) is hot-tempered, the second, Thyagu (Arun Vijay), a dull steed, and the third, Ethi (STR), the slightest top choice. Also, they all need to discover the individual behind the endeavor. The doubt is on an adversary, Chinnappadas (Thiagarajan). On the off chance that the underlying set up of Chekka Chivantha Vaanam in a split second helps you to remember The Godfather, you are not off-base. Also, it is purposeful. In any case, it is just as the plot unfurls that you understand that Mani Ratnam is giving a flavorful contort to the great criminal story. Imagine a scenario in which 'family' - the support of the adventure - isn't generally holy. Imagine a scenario in which the three children are more worried about who among them will succeed their dad as opposed to in discovering the man who nearly slaughtered their dad. Given the various characters included, the film takes a while to go ahead, as the underlying scenes of each character is a greater amount of less composition giving us a brief about their past, and their inspirations. The primary half, specifically, is organized as a whodunit, with each scene winding up as a way to keep hurling the inquiry that drives the plot - who plotted Senapathy's homicide? Also, the film gives us various suspects - the long-lasting adversary, Rasool (Vijay Sethupathi), a cop and a beloved companion of Varadan, Chezhiyan (Siva Ananth), the right-hand man, whose dad was murdered by Senapathy, Chitra (Jyotika), Varadan's better half and Chezhiyan's little girl, and the children themselves, each with their very own desire. The film truly takes off in the second half when the fight for Senapathy's royal position turns into the prevailing plot point as the siblings attempt to outmaneuver each other. 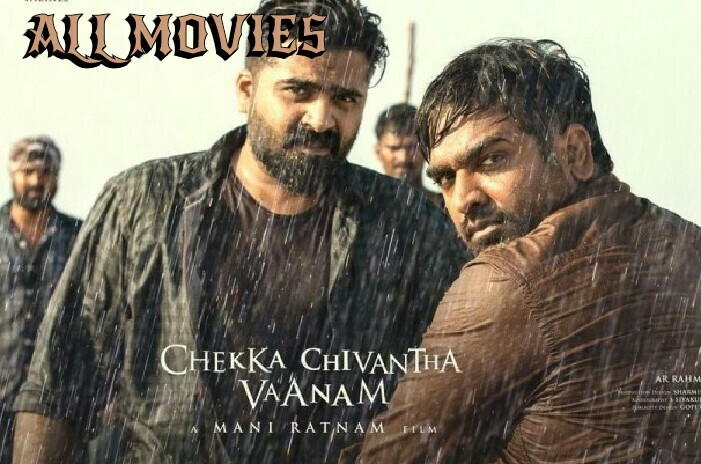 What's more, Mani Ratnam goes full-scale business (like Agni Natchathiram, the film isn't somewhere down refreshingly), giving every one of his stars their mass moment(s) - Arvind Swami gets a dynamite activity scene, Vijay Sethupathi the jests, Arun Vijay, a shrewd energy, and STR, enchant and a passionate minute. The on-screen characters are for the most part similarly great and have a celebration time. The filmmaking lacks the ease that we have come to find in this present chief's movies. The veteran is as yet the ace with regards to arranging (and Santosh Sivan makes the visuals tastefully engaging), yet the scene changes aren't as smooth as in his different movies; there are many inelegant hops starting with one scene then onto the next, which are made more apparent by Rahman's score, which attempts a bit too difficult to shoe-in tunes in the place of a foundation score. This jerkiness is likewise most likely on the grounds that the content endeavors to strike a harmony between the screen time of the stars. This is likewise pretty much a 'fellow film', inclining toward weapons over young ladies, as most criminal movies. The female characters are decreased to supporting players - they give a passionate point to the male characters - a mother sorrowful seeing her children battle among themselves, a spouse who remains by her significant other despite the fact that he is unfaithful to her, another wife who needs to pay the cost for her better half's desire, a lovebird who meets a grievous end (another Godfather gesture) - yet they don't drive the plot. Surprisingly, the film doesn't appear to be remorseful about this reality. The resolve of the content, which doesn't stray far from its two noteworthy concerns (who endeavored to execute Senapathy, who will succeed him) is really the film's quality. Furthermore, when we achieve the peak, the film comes back to its Godfather roots by demonstrating to us that requital is, in reality, a dish best served chilly.